Lots of burglars come out at night, which means night vision can be a great feature for your security camera. 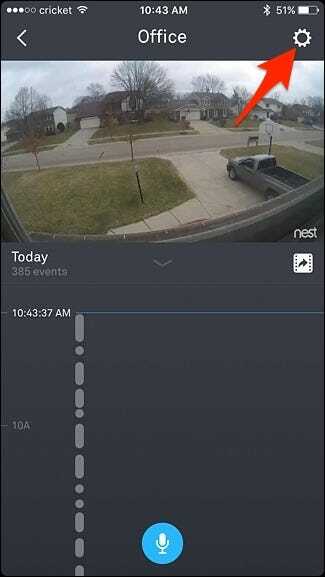 But if it’s not really something you’ll need, you can easily turn it off on the Nest Cam. 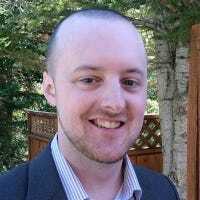 There are very few reasons to turn off night vision, but say you have your Nest Cam placed by a window pointed outside. The infrared light emitted from the camera would create a massive reflection on the glass, which would negate any usefulness provided by the night vision. At that point, you might consider turning off night vision completely, especially if your driveway or street is well-lit at night anyway. Select “Night Vision” from the list. 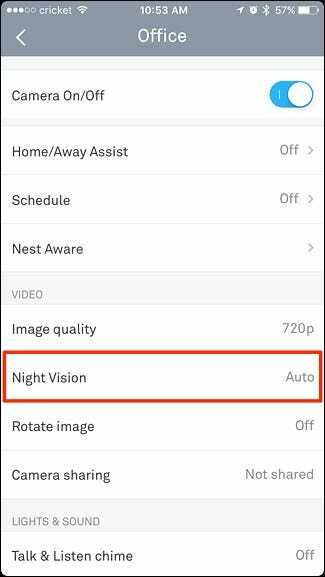 By default, it will be set to “Auto”, which means the Nest Cam will automatically switch back and forth between night vision mode and day mode based on the time of day. However, you can also choose to have night vision always on or turn it off completely. 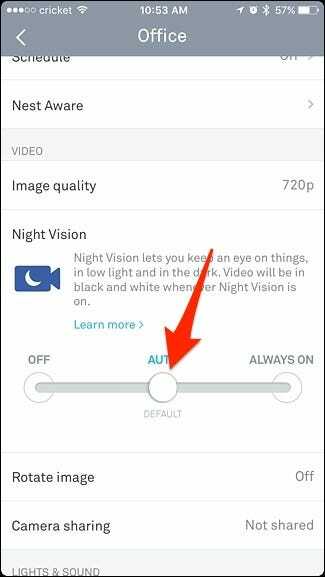 To turn off the night vision capabilities completely, tap and drag on the white dot and move it to to left under “Off”. 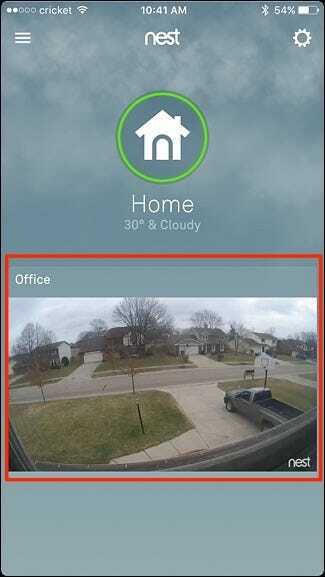 After that, your Nest Cam will always remain in day mode and will never turn on night vision mode unless you go back into the settings and switch it back manually.